Arts Council England has awarded Index on Censorship funding for the organisation’s work tackling censorship and self-censorship in the arts. The £100,000 grant will be used to provide workshops for boards and senior management of arts organisations in England and Wales on issues of censorship and other ethical challenges as they affect programming, fundraising and managing controversy. The workshops, delivered with partners Cause4 and the What Next? movement will roll out practical ways to support freedom of expression, so that practitioners feel confident they can create great work — not just safe work. The programme develops the long-standing work by Index on censorship and self-censorship in the arts, including its ‘Taking the Offensive’ conference in the South Bank, which identified widespread self-censorship in the sector. 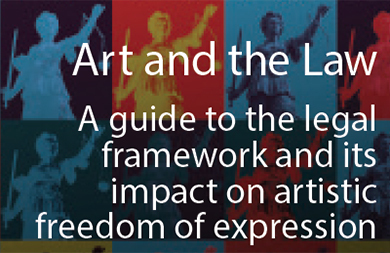 In 2015, Index — in collaboration with a number of legal advisers and with the support of the Arts Council and Clifford Chance — produced a series of guidance booklets entitled ‘Art and Offence’ that examined various aspects of the law and freedom of expression in England and Wales. The guidelines on public order are being distributed nationwide by the police service to help officers better understand the issues faced by arts venues in hosting potentially controversial work, and police commanders will be invited to training workshops. The award also builds on research and guidance produced by What Next? on meeting ethical and reputational challenges. With additional funds from Theatre Development Trust, they will develop a nationwide network of local groups who will support colleagues facing ethical challenges. In parallel, and drawing on cases that surface through this nationwide programme, Index will research examples of censorship faced by arts groups in England and Wales to form the basis of a report into the state of free expression in the arts to be published at the end of the programme. Index on Censorship is a UK-based freedom of expression charity that campaigns against censorship and promotes free expression worldwide. Founded in 1972, Index has published some of the world’s leading writers and artists in its award-winning quarterly magazine, including Nadine Gordimer, Mario Vargas Llosa, Samuel Beckett and Kurt Vonnegut. It also has published some of the greatest campaigning writers from Vaclav Havel to Aung San Suu Kyi. What Next? is a national movement of arts and cultural organisations, artists, funders, policy makers, institutions, and individuals who come together regularly to articulate and strengthen the role of culture in society. It is an open network of self-forming chapters, building relationships with local and national government, forming alliances outside of the cultural sector, and engaging the public in new and different conversations about the arts. It is chaired by Artistic Director of the Young Vic, David Lan. Over the last four years the What Next? movement has grown organically to encompass 34 chapters around the UK, they bring together individuals, organisations and institutions to work on locally significant issues, and to consider how to contribute to wider action.